The guidelines for social life cycle assessment of products: just in time! 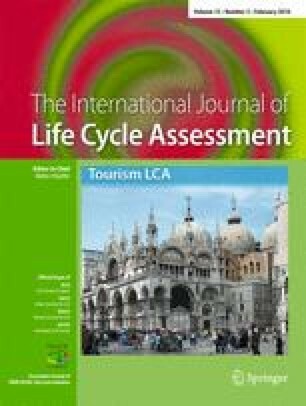 Authors of different sustainability journals, including authors of articles in past issues of the International Journal of Life Cycle Assessment have acknowledged the rising interest and the pressing need for a social and socio-economic life cycle assessment methodology and identified challenges in its development and implementation. Social life cycle assessment (LCA) allows identification of key issues, assessing, and telling the story of social conditions in the production, use, and disposal of products. In this article, the United Nations Environment Programme/The Society of Environmental Toxicology and Chemistry Guidelines for Social Life Cycle Assessment of Products will be presented. The guidelines demystifies the assessment of product life cycle social impacts and presents an effective framework representing the consensus of an international group of experts leading research in this field. The guidelines complement those for environmental life cycle assessment and life cycle costing, and by doing so contribute to the full assessment of goods and services within the context of sustainable development. They enable a larger group of stakeholders to engage. Key aspects of the framework and the research needs identified in the guidelines will be summarized. In a globalized world where transparency and information occupies a predominant place and where consumers and companies reach out to shed light on both the brightest and the darkest side of the economy and, when applicable, transform its condition, social LCA brings strong value. At a moment where major companies and initiatives are going forward with using LCA and are trying to track and communicate about the social impacts of their products they are increasingly held accountable for the guidelines for social life cycle assessment arrive just in time to inform their efforts. The authors of this article wish to thank the other co-authors of the Guidelines for Social Life Cycle Assessment of Products, in particular the chair of the project group and co-editor Bernard Mazijn, and the sponsors of the publication.